This is what happens when you’re on a mission to make chicken great again! I’m from teach “NO MORE BORING CHICKEN”, especially since I discovered Greensbury Market, who offers organic and sustainable protein delivery to my door! 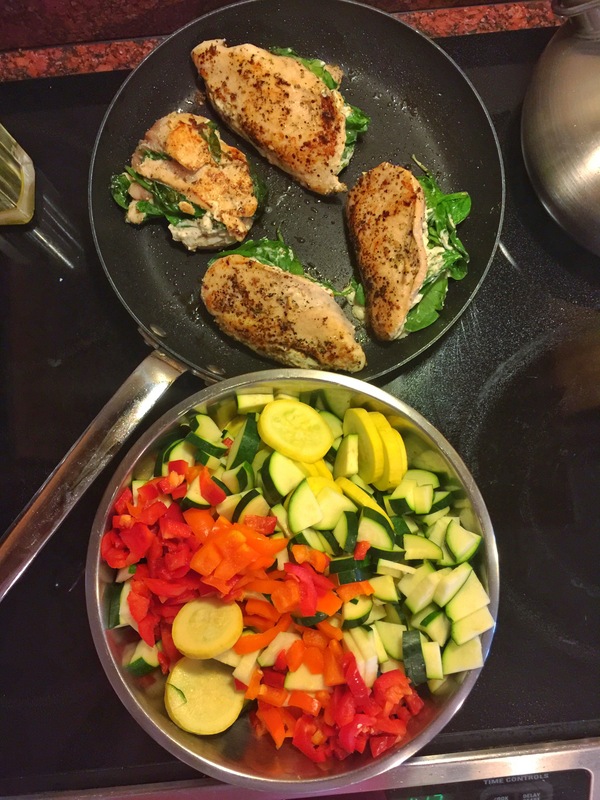 I ordered so much of the same (salmon, chicken breasts, skirt steak) that we decided to create “THE COLORFUL FOODIE PACK“, which is just great, especially for those of us who love to meal prep or get creative in the kitchen altogether. To get yours, click here and use code ‘COLORFULFOODIE’ to get 10% off your order! 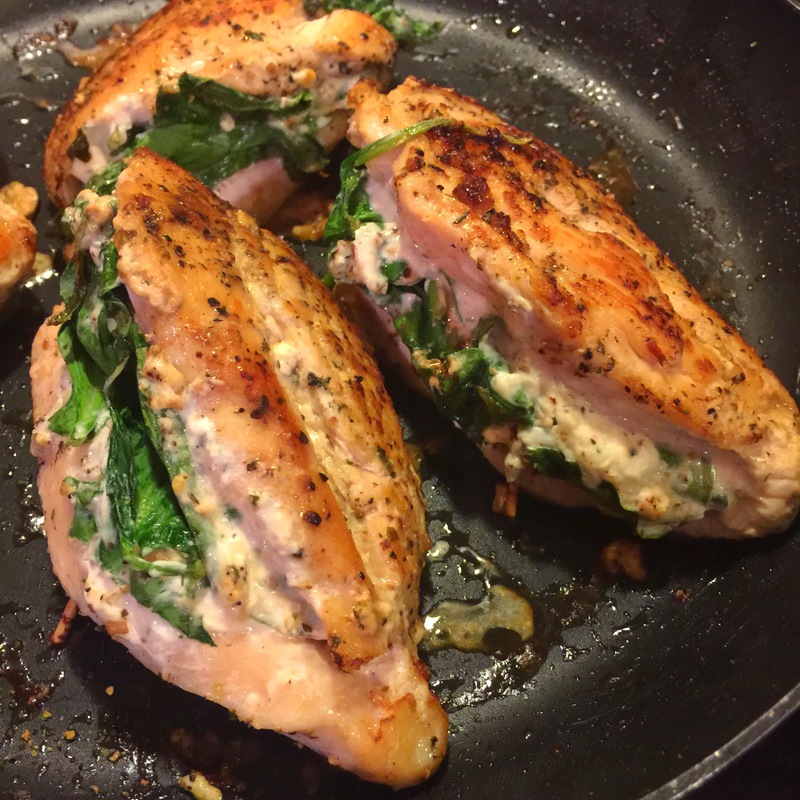 Butterfly chicken breast, or split the breast horizontally while keeping the breast minimally attached. Basically cut through the middle of the chicken where it will resemble a butterfly and can be easily stuffed. Season it generously with salt and pepper. Bring cream cheese to room temperature or zap it in the microwave so it is soft and whip it with salt and pepper to taste. 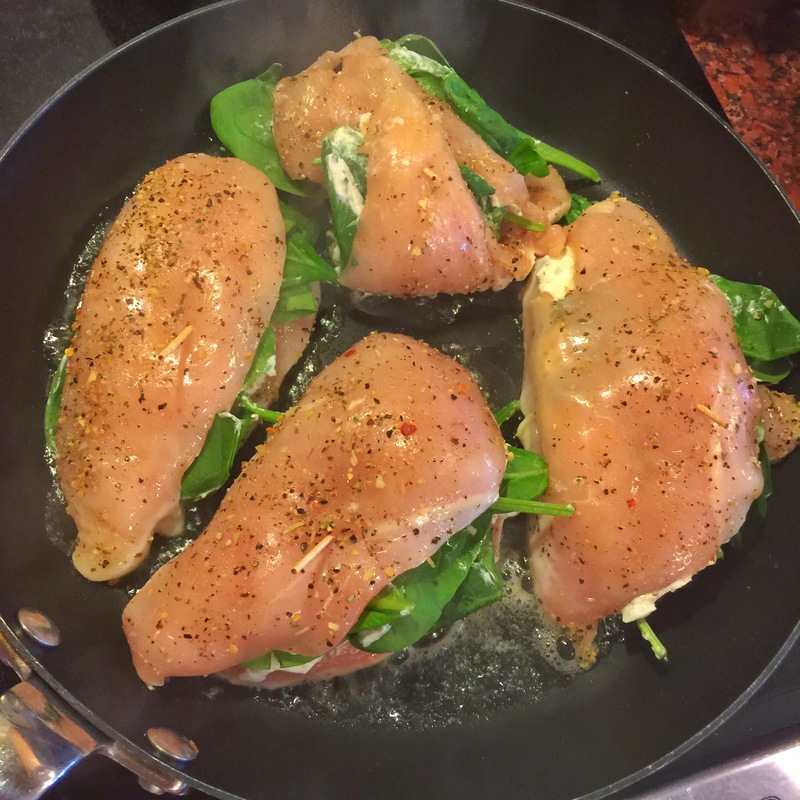 Spread the mixture evenly through the breast, topping off with spinach but don’t over-stuff it. Bring flap over and secure with toothpick. Bring an oven safe skillet to medium-high heat and add 1 tablespoon of butter or oil and sear for 2-3 minutes on each side until a nice brown sear is achieved. Place skillet in oven and bake for 5-6 minutes until it is fully baked. Watch it and test it because overdone will leave the breasts dry so I found that between 5-6 minutes is perfect depending on the thickness of your chicken. 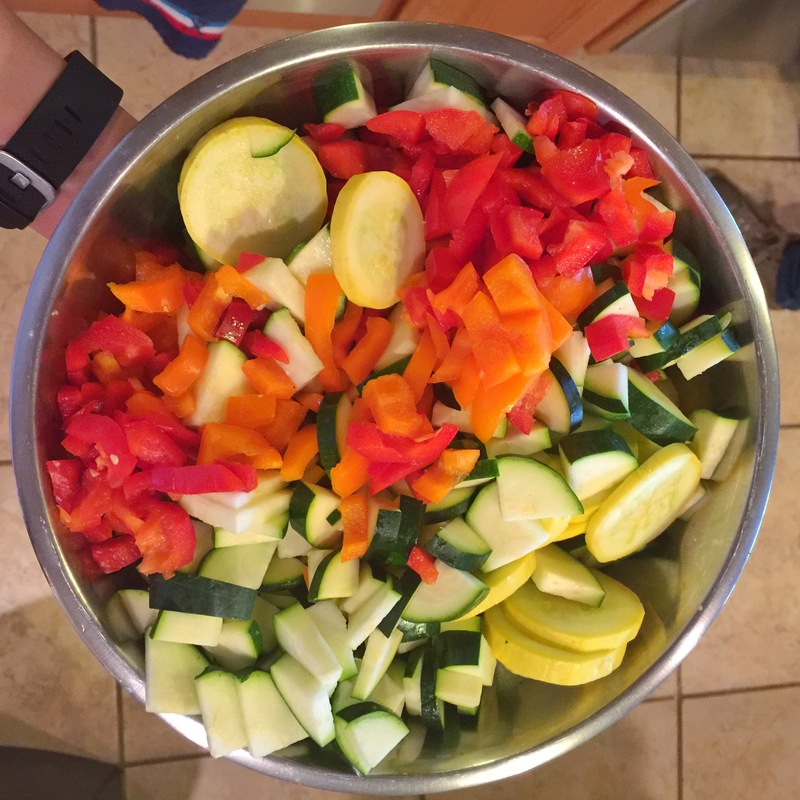 I served the chicken with colorful vegetables; yellow squash, zucchini, orange and red bell peppers chopped by Jannie, my amazing mother-in-law. All I did was toss the veggies in avocado oil, sprinkle dry sage, salt and pepper and roasted them at the same time the chicken was baking on the top rack for about 6-7 minutes! DONE when tender! 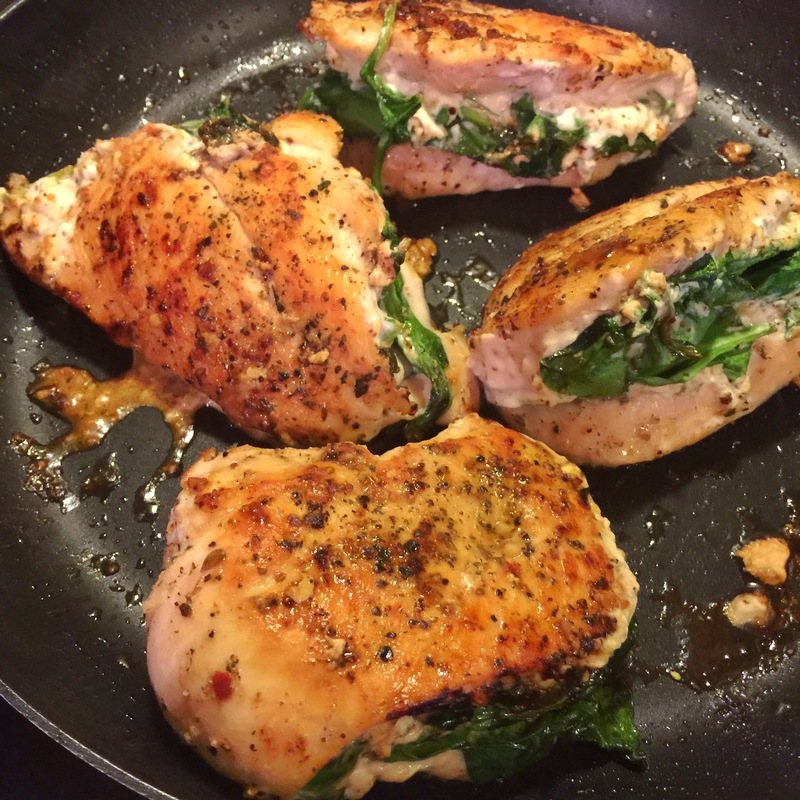 This entry was posted in Dine with me, Entrees, Meal Prep Ideas, More On Meal Prep, No More Boring Chicken, Uncategorized and tagged creamy spinach, creamy stuffed chicken, spinach stuffed chicken, stuffed chicken. I’m from Germany and i really love your recipes as much as your snapchat stories? I tried the chicken last night and it was super yummy! Thank you for your wonderful message!! I’m so happy to hear that ?? I made this yesterday as soon as I saw it on my snapchat. It was ANAZING!!! I’m always looking for ways to sneaks greens into my meals for my little one. He simply loved this dish. I will definitely keep this in my rotation of dishes. You can’t go wrong with this quick and easy recipe! Yessss!! I’m so happy you enjoyed! Saw your comment on insta too, ??? So glad you made these! So good! I made Saturday’s black bean/sweet potato casserole and it was SO GOOD! I don’t like eggs so I tossed in some grilled chicken and it worked perfectly 🙂 I can’t wait to make more of your recipes. I love youre videos and look forward to watching them each day. . You are truly inspiring to me. Thanks.